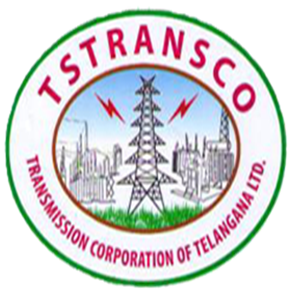 TS TRANSCO JLM Answer Key 2018: The Transmission Corporation of Telangana Limited (TSTRANSCO) has successfully completed conducting the TS TRANSCO JLM examination in morning and afternoon sessions. A large number of aspirants seeking for Telangana State government jobs have applied for the posts and the aspirants have appeared for the test in their allotted center and slot. Candidates those have appeared for the TS TRANSCO Junior lineman examinations can download Answer key from the TSTRANSCO official portal, tstransco.cgg.gov.in. Date of examination: The written examination for recruitment of Junior Lineman will be held on 11.02.2018 from 2.00 pm to 4.00 pm. The Telangana State TRANSCO has released the notification for 1100 Junior Lineman (JLM) posts. Huge number candidates have applied for Telangana JLM posts from 4th January to 20th January 2018. Candidates those have applied for the TSTRANSCO Jobs have to appear for the TSTRANSCO JLM Examination on 11th February 2018. Hence applicants have to download the hall ticket and carry it to the examination hall to appear for the test. Candidates have to carry one more identity card like Aadhar Card/PAN Card or any other valid identity proof along with hall ticket. Candidate’s identity will be perfectly enquired before check-in into the examination hall. Aspirants can visit the TS TRANSCO official website, TSTRANSCO.CGG.GOV.IN to download the official answer key. All the competitors those have applied for the TS TRANSCO posts and appeared for the examination on 11th February, Sunday can download TSTRANSCO JLM answer key within 3-4 days after the examination. The answer key is the most useful document in analyzing the attempt. Aspirants those have given the examination on 11th February can download the answer key and analyze their attempt by comparing their answers with the corresponding set from the TS TRANSCO Official answer key. By this process, the competitors can roughly estimate their probable score in the examination. By estimating the score, the competitors can get a view about their further contending, ie, whether they can qualify for the next round of selection process or not. The “Preliminary Key” for the Written Test conducted on 11.02.2018 for the post of JUNIOR LINEMAN in TSTRANSCO is placed below. The candidates who have appeared for the written examination are herewith informed to raise their objections, if any, to the mail id: jlmrt.quaries@gmail.com on or before 17.02.2018. Objections will not be entertained after the stipulated time. Search for the ‘Junior lineman answer key 2018’ Link flashing on the homepage. Click on the link and download the answer key. The answer key PDF for all sets will appears on the screen. A 4 pole,3-pase, 50Hz induction motor may run at a speed of_________r.p.m. ?